Increased automation means that IT organizations can spend more time working smarter, not harder – repurposing their expertise into initiatives that directly impact business success rather than spending time reactively and manually provisioning and operating IT assets. Automation also means that the potential for human error can be minimized or eradicated. It means more productive uptime and less damaging downtime. In many ways, the rest of the IT technology stack is far ahead of the network when it comes to automation. The problem with this is that if one link in the chain is not automated – the network, for example – it can detract from the benefits of automation in other areas of the data center or cloud. 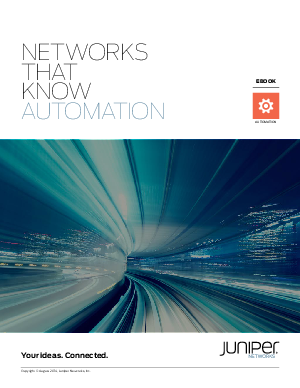 In fact, automation is one of the primary reasons we are currently seeing such interest in the industry around software-defined networking (SDN). It brings the promise of automating the network in line with the rest of the IT stack. However, while some proprietary network architectures may very well provide good levels of automation capability, they can also lock the buyer into expensive or inflexible vendor upgrades and maintenance regimes. Or it might even lead to ripping and replacing the existing infrastructure altogether. It’s automation, but not as you wanted it.